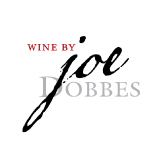 From September to November each year Dobbes Family Estate and Wine by Joe hire around 30 seasonal workers to help us sort, punch, ferment, dig and press some of Oregon’s finest fruit to help us produce stellar wines. Our team is unique each year, just like our vintages! We hire folks from our local area, throughout the US and around the world. One of the great advantages of working harvest at Wine by Joe doesn’t just mean you’ll get a fulfilling understanding of how Oregon wine is made, but also build connections with people of different backgrounds and cultures, even friends for life. Because we operate with two different cellars, harvest interns will have the opportunity to learn the different operations comparing large production to boutique (small) production. Each cellar has its own methods and personalities, but the theories are the same, and both experiences will bring you invaluable learning opportunities. We also have intern positions available in our laboratory where you’ll learn the chemistries and observations of fermentation. At least 2 harvests experience, though this is not required. All training is provided on site. This position does not include housing or transportation, but we will endeavor to help you find it should you require it. Wine by Joe, located in Dundee, Oregon is looking for a top notch cellar master for our 3,000 ton premium facility. Though our flagship is Pinot Noir, we produce several other varieties including Pinot Blanc, Chardonnay, and Pinot Gris. Our ideal candidate has both year round cellar experience and most especially, proven leadership and team management skills. Provides assistance and support in the winemaking process by managing cellar operations and cellar staff under the direction of the Production Manager ensuring efficiency and quality throughout the production process. Provides leadership during harvest through management of shift supervisors in the Premium Facility and all cellar personnel and daily production tasks throughout the year. • Under the supervision of the Production Manager, supervises cellar activities and work flow. Responsibilities in this area include understanding, anticipating, and planning daily activities, communicating plans to staff, assigning tasks efficiently and appropriately, monitoring work progress and hours of staff. This includes writing, organizing, reviewing, and completing work orders as needed. • Maintain inventory records; enforce inventory tracking procedures: labelling vessels, populate and maintain tank tracking tools, etc. Maintains cellar supply of chemicals, filters, membranes, gas, forms, parts, etc. as appropriate to the cellar schedule and as anticipated for wine processing. • Facilitates effective communication among production staff and with all other departments and managers. • Develops and implements new ideas for more efficient and effective cellar procedures. Continually developing systems, procedures and policies that ensure operational efficiency and cohesiveness. Maintains a safe, positive work environment and ensures proper training of current and new employees consistent with established cellar operations. • Supervise daily setup and cleanup activities, including sanitation of cellar equipment to ensure quality and prevent contamination and maintain overall tidiness of the facilities. 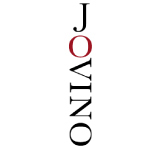 • In collaboration with the Safety Committee, ensures that standards for the Wine By Joe facility are in compliance with OSHA and DHS industry standards, including electrical, mechanical, and confined space hazards, forklift safety, chemical handling, storage and labelling, PPE, signage, and SDS records. • Coordinates with Facilities Technician on preemptive and preventative maintenance measures to ensure that cellar operations are not slowed or hindered. 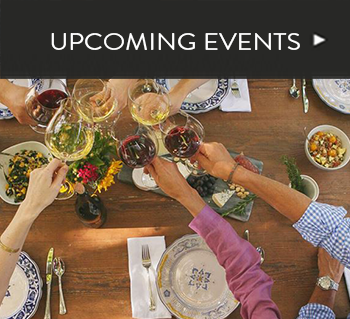 • Represent the company at trade association meetings, selected industry events and wine tastings as needed. • This position typically requires an Associates or Bachelor’s degree, preferably in the field of enology/fermentation science, or at least four years experience in wine production. • Superb forklift skills required for all operations. • Most possess a strong working knowledge of winemaking processes, procedures and equipment including, sorting line equipment, destemmer/crushers, presses, cross-flow filters, lees filters, pumps, other harvest equipment, barrels, etc. • This position requires basic math skills. • This position requires extreme accuracy and attention to detail. • This position requires the ability to prioritize tasks and follow specific instructions. • This position requires a demonstrated ability to effectively communicate (verbal and written) to a variety of audiences. Please forward your current resume and a cover letter explaining why you’d like to join our team, and what your favorite Jolly Rancher flavor is.